The Island Forum :: Mysterious Subjects :: Archaeology. Scientific tests suggest that a major aspect of the Neolithic agricultural revolution may have reached Britain 2000 years earlier than previously thought. 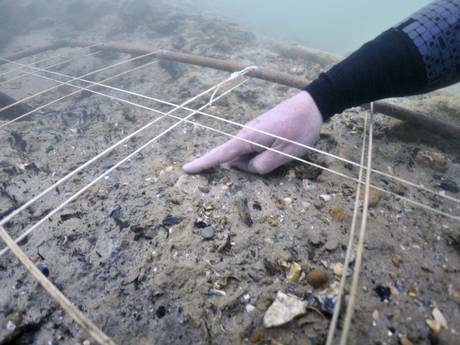 Remarkable new archaeological discoveries are likely to completely rewrite a key part of British prehistory. The research – carried out by scientists at the universities of Bradford, Birmingham and Warwick – reveal that wheat, probably already ground into flour, was being used at a Mesolithic Stone Age site in around 6000 BC. The discovery – just published in the academic journal, Science – is likely to be viewed with some degree of consternation by many archaeologists because it completely changes accepted views of what happened in Britain (and indeed most of western Europe) in pre-Neolithic times. The species of domesticated wheat – an early form, known as einkorn – was identified by scientists from the University of Warwick, using DNA analysis. Although no einkorn seeds as such were found, a small discrete area of intense einkorn DNA was detected when geneticists tested samples of sediment, recovered by archaeologists from an underwater Mesolithic site in the Solent, just off the coast of the Isle of Wight. Wow, but as that kind of wheat was already used in Italy, Southern France and Spain, it means there must have been a migration of people from those parts to the Isle of Wight! Yeah Ags. It is fascinating and it shows how scientific ideas change as more info comes along. We are more inter-related than we often think we are. Well that sets it as some modernization of Humanity being earlier than thought. Similar in importance to the age of Gobekli Tepi. Yep Len. Gobekli Tepi and other found sites are starting to make sense.